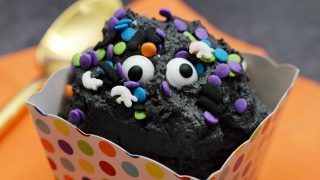 Are you looking for a fun treat for your Halloween themed party? Or maybe just a little something sweet to tuck into the kids’ lunches as a little surprise? 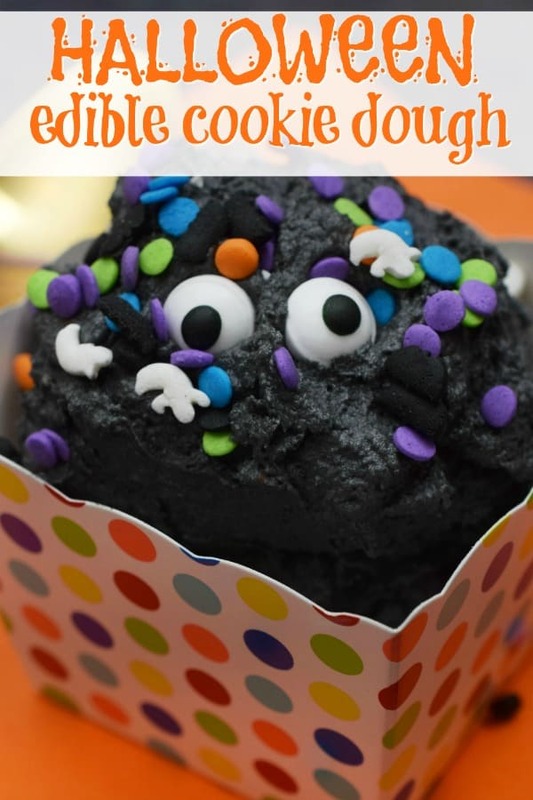 This Halloween Edible Cookie Dough recipe is just what you are looking for! Serve in fun little cups with mini spoons and you’ve got a crowd pleaser for sure…or in a tupperware container for a not so spooky but festive surprise in a lunchbox! The cocoa powder helps to give the cookie dough recipe a darker base so that the black food color actually gives the dough a black color. 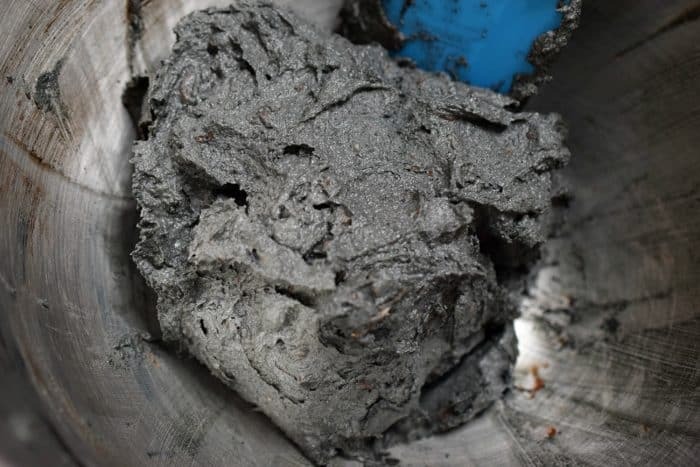 A lighter base dough is going to just become grey, grey and more grey. Kind of like frosting, only this is more fun! Candy eyeballs- these now come in all sizes and styles. Creep things up with bloodshot or zombie candy eyes! Bake flour in the oven at 350 degrees for 10 minutes or cook on high heat in the microwave for 1 minute before starting to ensure flour is safe to eat. Combine butter, sugars, flour, salt and cocoa powder in mixer and mix until smooth. Add vanilla, milk, chocolate chips and a few drops of black food color and continue to mix until they’re fully incorporated. Place cookie dough in refrigerator for at least 30 minutes to chill. 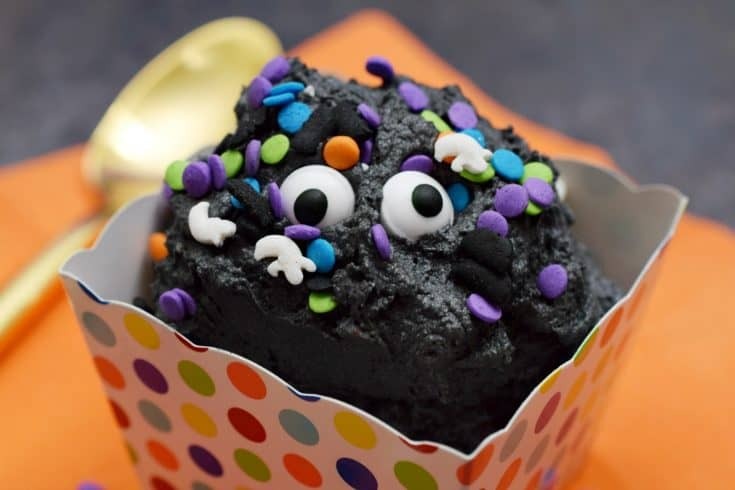 Serve with halloween sprinkles and edible eyes. Want more Halloween yums? 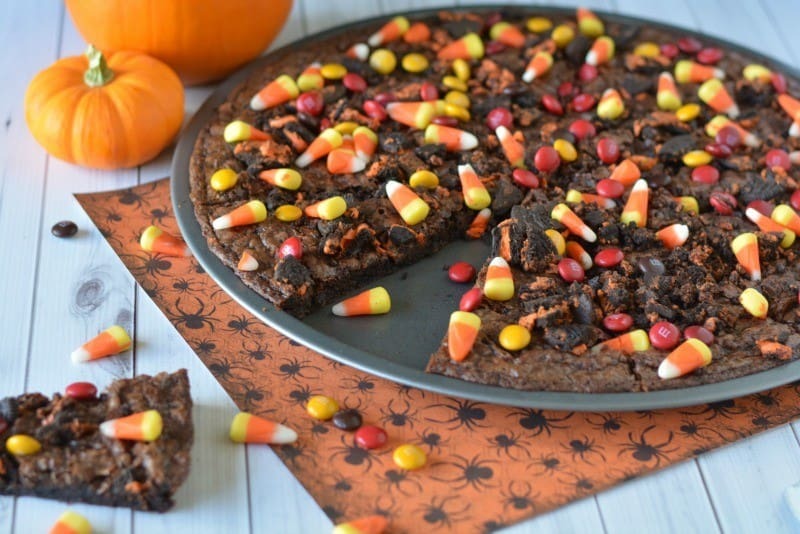 Why not try a fun Halloween Dessert Pizza? 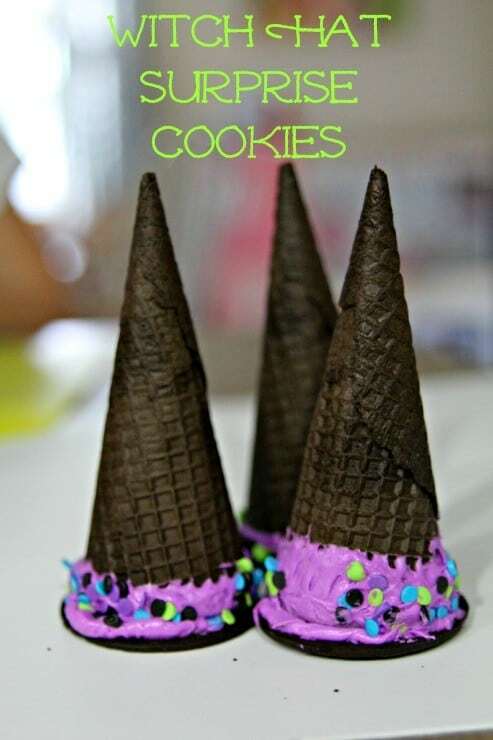 These witch hat cookies are really quick to make, and you can fill them with all kinds of things to surprise your guests!